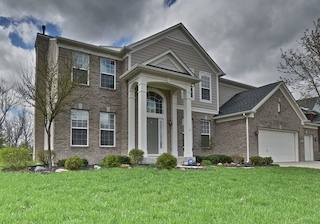 Grand home for sale in the beautiful neighborhood of Summer Ridge in Brownsburg Indiana. This home has all you dreamed of! Large open floor plan on the main level features a large two story entry, formal living and dining room in the front and a beautifully updated kitchen, breakfast room andfamily room in the back. You'll have more than enough room for entertaining! If by chance you have a full house, there's plenty more room out back or you can move the action to the completely finished basement. Daylight window basement with 9 foot ceilings has a rec room, wet bar, bedroom/exercise room and a full bath. It would be a perfect in-law suite or a teen hangout! Master retreat is open and airy with vaulted ceilings, a private spa bathroom with dual vanities, garden tub,full separate shower and walk-in coset. Four additional bedrooms and bath complete the upstairs level. Backyard is gorgeous, overlooking a nature preserve. Community of Summer Ridge includes walking trails, basketball court, tennis court, swimming pool, playground and lots of open green space. 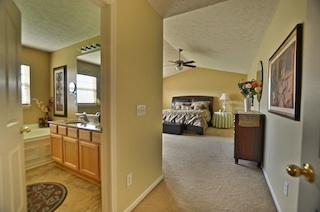 Call us to view this home at 459 Raven Circle today.